A 51-year-old Welsh man who was jailed in Wales for his role in swindling over $1.8 million from the Bermuda Government has been sentenced to additional jail time for stealing £50,000 [$63,894] from his own mother. Jeffrey Bevan, an accountant from Wales, was employed as Payments Manager for the Bermuda Government from 2011 to 2013, and in a previous court hearing in Wales, he admitted multiple counts of transferring and converting criminal property, with the court hearing he transferred £1.3m [$1.8m] into his bank account in the UK, and then spent it on gambling, cars and houses. Earlier this year, a court in Wales sentenced him to 7 years and 4 months in prison for those offences, and he has now received an additional 18 months jail time for stealing from his mother. This is according to a story in the South Wales Argus, which said, “Gambling addict Jeffrey Bevan, aged 51, of Orchid Court, Ty Canol, Cwmbran, cheated Lavinia Bevan out of the money after lying to her that he was going to invest it for her. “Prosecutor Timothy Evans told Cardiff Crown Court how the defendant, who pocketed the cash after she wrote him a cheque, was found guilty of theft by a jury after a trial. “Mrs Bevan, who was in her seventies when the offence was committed between 2013 and 2014, died last year. 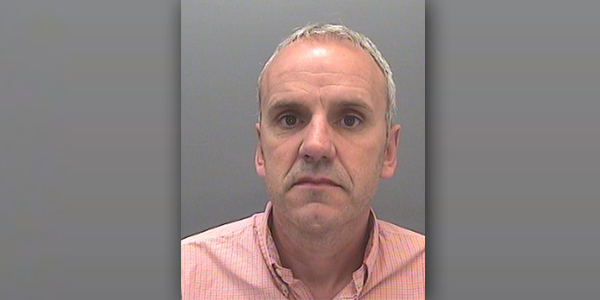 “Father-of-two Bevan was jailed for seven years and four months in January after he pleaded guilty to three counts of transferring criminal property and 10 counts of converting criminal property during his first trial at Cardiff Crown Court. Judge Michael Fitton QC told Bevan: “You deliberately targeted your elderly mother whose faculties were diminishing. It was a cynical offence for your own benefit. The victim personal statement shows this was a deeply distressing event for your family. Wales Online reported that Bevan was found guilty by a jury after trial, and appeared via videolink from HM Parc Prison, where he has been for the last 10 months. Judge Fitton jailed him for a further 18 months and the sentence will run consecutively to the term he is already serving.